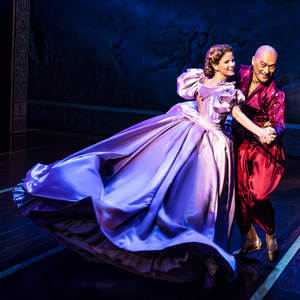 This week, the multi-award winning and critically acclaimed Lincoln Center Theater’s production of Rodgers and Hammerstein’s THE KING AND I screens one night only on Thursday in this unmissable event recorded live from London’s iconic Palladium. Reprising her Tony Award-winning role, ‘Broadway musical’s undisputed Queen’ Kelli O’Hara (Anna) takes to the stage alongside Tony and Oscar nominee Ken Watanabe (The King) in a “powerhouse” performance. Friday night, Stephane Wrembel, one of the finest guitar players in the world, is on our stage. Saturday, we screen a Family Matinee screening of Elliot: The Littlest Reindeer followed by the crowd-pleasing documentary, CHEF FLYNN, about teen chef Flynn McGarry opens. We also have two chances to catch the animated, family friendly MIRAI, on Sunday at 4:30 and a special Crybaby Matinee on Thursday at 11 am. More information on all of these great programs and more here.